Willowstick Technologies had the opportunity to attend the 2016 ICOLD conference located in Johannesburg South Africa. In conjunction with the conference, Willowstick was able to do a demonstration project at a nearby dam. First, a presentation was given about the dam, and the results of the project. The dam has been seeping for several years. Originally it was suspected that the seepage was coming from the abutment. However, after the Willowstick investigation and 3D modeling of the data preferential flow paths were shown to pass below the outlet pipe. The bedrock below the outlet pipe was damaged due to dynamite blasting used to install the pipe. After the presentations, two separate tours were given of the dam with over 100 people in each tour. The tour participants were able to see exactly how the survey was completed with the Willowstick instruments, power supply, circuit wire, electrodes and field crew. Participants were also able to see the dam, where the seepage was manifested on the surface, and where Willowstick identified the preferential flow paths. Willowstick Technologies participated once again at the AEMA (American Exploration & Mining Association) annual conference held this year in Spokane, Washington. Willowstick has been helping mining organizations identify water connection paths since its inception. We have completed projects ranging from tailings dam seepage and ARD (acid rock drainage to reclamation and remediation projects as well as pre-mine water conditions. If you need to know the pathways of water seepage at your mine, you need to talk with Willowstick Technologies. Willowstick Technologies will be at the 2015 Australian National Committee on Large Dams (ANCOLD) conference held in Brisbane, Australia. Willowstick Technologies specializes in mapping dam related seepage and leaks through, under or around dams with the capability to show the full length of the seepage pathway in plan and elevation. We have seen the Willowstick method applied to both large and small dams in Australia. Please visit with us at the conference exhibition to learn how we can save you time an money in dealing with your dam seepage issues. 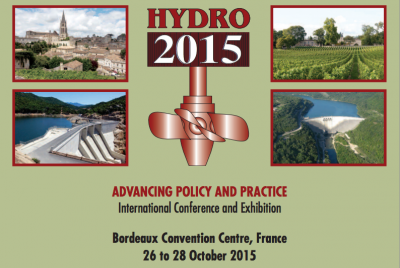 Willowstick Technologies is participating in the Hydro 2015 conference held 26-28 October 2015 in Bordeaux, France. Dr. Andy Hughes, Director of Dams & Water Resources with Atkins Global will be presenting a paper discussing application of the Willowstick method to identify dam seepage on a variety of projects. If you are attending the conference please stop by stand 085 in the exhibit area to learn more about how Willowstick is being used as an asset management tool. Willowstick Technologies is participating at the Canadian Dam Association's annual conference. This year's conference is being held this year on October 3-8 in Mississauga, Ontario, Canada. The conference program includes the core aspects of dam management and dam safety for both large dams and large dam owners; and for owners of small dams and small owners of dams. Willowstick is both a critical tool for diagnosing potential dam safety seepage issues but also a valuable tool for managing a dam by being able to provide non-intrusive diagnostics as to the seepage related health of the dam. Our clients are using Willowstick as part of their asset management program. Stop by and visit with us to learn how Willowstick can help you know the health of your dam as well as identify any seepage issues your dam may be experiencing. Willowstick Technologies and Atkins Global participated in the South African Commission on Large Dams (SANCOLD) annual conference held this year at the Lagoon Beach hotel in Cape Town, South Africa. Dr. Andy Hughes, Director of Dams & Water Resources with Atkins Global, and Visiting Professor in Dam Engineering - Bristol University presented a paper discussing how the Willowstick method is used in asset management programs of dams to prevent incidents and accidents. Come visit Willowstick Technologies, booth 505, at the 2015 ASDSO Dam Safety conference held September 13-17 in New Orleans, Louisiana. Learn more about how using the Willowstick method as part of an asset management program can help reduce incidents and accidents. We look forward to speaking with you at the conference. Willowstick Technologies participated in the 2015 ICOLD annual meeting held in Stavanger, Norway. We had strong interest from the delegates across the globe and we were able to visit with many of our past clients which we always enjoy. Dr. Andy Hughes, Director of Dams & Reservoirs for Atkins Global presented a paper on the three different ways in which he has utilized the Willowstick method with his clients (Reactionary, Proactive and as an Asset Management Tool). Dr. Andy Hughes explaining how he has applied the Willowstick method to help his clients solve their dam seepage issues. Site of the ICOLD conference and exhibition. 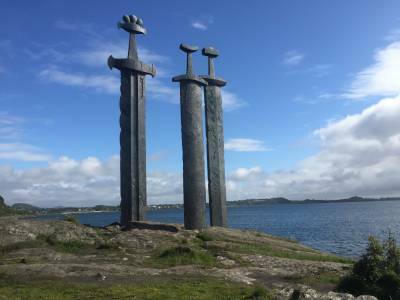 Beautiful city of Stavanger, Norway, the host city of the 2015 ICOLD conference. The Elko Mining Expo is always a great event for Willowstick and that was true again this year. It was great to connect with old friends and make new friends as we dodged the rain as best we could. Thanks for making this another great year.